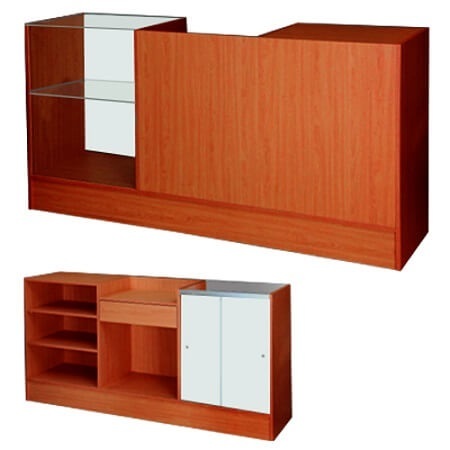 Make the most of your fixtures with this All In One Counter System. 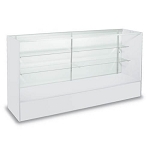 This affordable retail fixture includes a glass front display, service counter, and register stand. 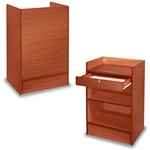 The register stand includes a drawer to store all your extras. 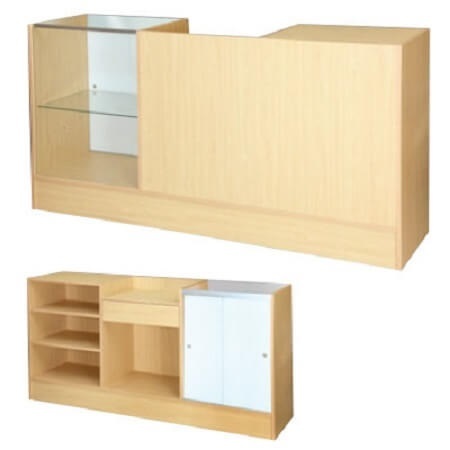 An adjustable wooden shelf for the service counter and glass shelf for the front display give this counter unit the flexibility you need. 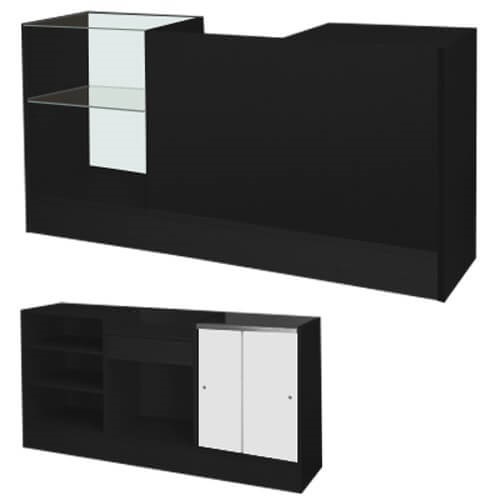 Available in black, cherry, and maple, this counter unit is priced to go! Order today at Candy Concepts Inc. 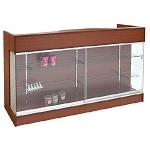 Complete unit includes a glass front showcase, service counter and register stand.